Looking for a legal Michigan live stream? We run down the best ways you can watch the games online! With access to BTN, ESPN, and lots of on-demand content, Hulu Live is a great way to view Michigan’s wins this year. DISH boasts reliable, rural access and a large number of channels. DIRECTV offers solid service and NFL SUNDAY TICKET but has a significant price hike after year one. If you want to see the Wolverines tackle this difficult season but can’t make it to the Big House, you’re in the right place to learn how to watch Michigan’s 2018 football season. With so many returning starters and Ole Miss transfer Shea Patterson up for QB, all eyes will definitely be on Michigan football this season. The season opener is scheduled to appear on NBC September 1 with later Wolverine games slotted for BTN and FOX. Check below for which channels and local networks each package specifically provides. With the services covering so many of the same channels, it can be a bit confusing to see which service really gets you the best experience. Keep reading, and we’ll go over the benefits you need to cheer on Michigan this fall. Hulu with Live TV claims to be a “hassle free” TV service, and for the most part, it nails that description. With access to 50+ channels (including ESPN and FOX, both of which you need to see most Michigan games) and Hulu’s on-demand content library, Hulu Live offers Michigan football and tons of other entertainment at a great price. Try it for free here. Hulu Live’s biggest selling point is its price. It offers great streaming quality on live TV for only $39.99. If your focus is to get the game without taking a large hit on your wallet, Hulu Live is the way to go. 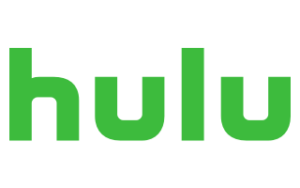 One of Hulu Live’s major drawbacks, however, is the risk of connectivity problems. For the most part, Hulu Live’s streaming quality is outstanding, but it does depends on your internet connection. Basically, that means if you don’t have at least 10 Mbps, all it takes is one freeze during a key play like last year’s 42-yard return by Peoples-Jones against Ohio State to ruin the season. But if you do have decent internet speed and want to save some money, Hulu Live will definitely treat you right. With Hulu Live, you get live streaming TV and access to Hulu’s on-demand library (what you probably first thought of when you heard “Hulu”). Plus as a Live user, your favorite live shows are immediately added to the on-demand content. Score! If this isn’t enough TV, you can store your own with the 50 hour Cloud DVR. You simply mark the live TV as “My Stuff” and it’s stored for later viewing. Imagine all the Wolverine games reruns that you can record. We did the math (you’re welcome)—it’s about 12. So if you’re confident in your internet speed and love on-demand content, Hulu Live is just right for you. Because it delivers TV coverage using a satellite signal, DISH offers a reliable way to watch Michigan games without any of the pesky availability or reliability problems internet streaming can run into. Just be prepared to pay for those benefits. DISH’s America’s Top 120 Plus package offers a lot of channels—over 190 to be exact—with clear, transparent pricing. While you do still need a two-year contract, they lock in the initial price of $69.99 per month for the duration of those two years. You know exactly what you’ll be paying. Unfortunately, DISH’s America’s Top 120 Plus doesn’t have NFL SUNDAY TICKET, which means you’ll miss out on NFL games out of your local coverage. So if there’s as much must-see action in the NFL for you as there is at the college level, you may want to skip ahead and see what’s behind door number three. (Or check here for alternative ways to find your NFL team). DISH boasts nationwide service and, as a satellite company, avoids all the pesky internet problems of streaming. That means you can get access to Wolverine touchdowns whether the stadium’s in your backyard or thousands of miles away. DISH also has more local channels compared to streaming services, making it more likely you’ll get the games shown locally. Along with that nationwide football access, DISH offers lots of other great channels and a massive DVR—so it’s easy to revisit the season’s best moments over and over again or binge-watch your favorite tv show (The Big Bang Theory, anyone?). So if you’re looking for a service that’ll get you the game and your favorite TV shows no matter where you live, DISH is the way to go.  DIRECTV CHOICE™ package offers 185+ channels with similar reliability and access as DISH for only $45 per month. But there is a catch—after one year, the price jumps significantly, making DIRECTV more expensive overall. You can check out more plan details here. Like DISH, DIRECTV boasts the nationwide coverage and reliability of satellite (all hail, satellite!) You’ll be able to watch hail mary plays without any internet connection issues making you miss out on any hall of fame worthy moments. That all seems like a steal for only $45 a month, but of course, you’ve got to read the fine print. After the first 12 months, the price jumps to nearly double the initial price. You also have to pay extra to get access to regional sports channels, which, combined with the price hike, makes DIRECTV more expensive than either Hulu Live or DISH. Nobody likes that kind of price hike—least of all us. But the fact remains DIRECTV does get you all the channels you need for Michigan football games like FOX and BTN (except CBS sports, like DISH). And there’s one thing DIRECTV has that might make all the cons worth it to you— NFL SUNDAY TICKET. If you’re interested in professional football, then DIRECTV’s NFL SUNDAY TICKET may tip your favor. It may cost extra, but it also gives you access to all out-of-market games. So if Michigan isn’t the only team you want to watch crossing the goal line on the weekend, DIRECTV is the way to go. Starting off against Notre Dame on September 1, Michigan is sure to take the field with a vengeance as they build up to rivalry week. Now all you need to do is pick which service above fits your needs so you’re ready to sing hail to the victors all season long. Go Wolverines! If you have questions or comments on how to watch Michigan Football 2018, feel free to leave a comment below or send us an email.